Digital health has often been seen as the future of healthcare, but a recent Rock Health report revealed that women only make up 10.2 percent of digital health CEOs, posing questions about where women fit into this new evolution of healthcare. 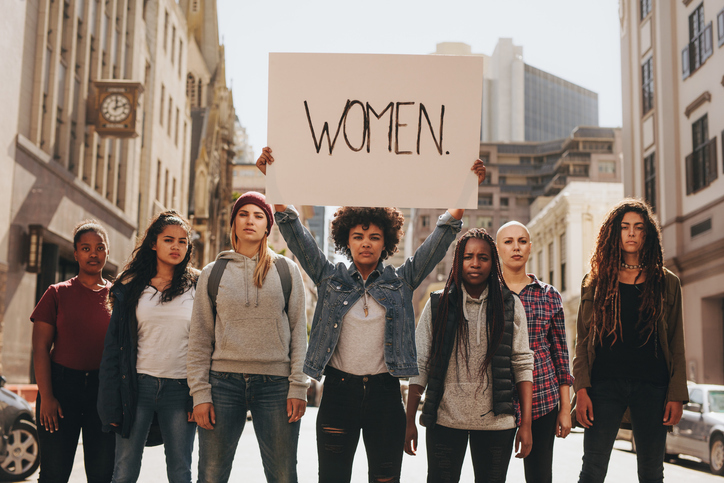 For International Women's Day, which this year focuses on promoting activities that work towards building a gender-balanced world through the #BalanceForBetter campaign, Healthcare IT news talked to women in the health and technology space about what that means for them. It’'s no secret that women are under-represented in the world of technology. In June 2018, a survey carried out by HIMSS, parent company of Healthcare IT News, found that nearly 94 percent of healthcare and IT professionals from a variety of European countries that responded to the poll believed that women did not receive enough recognition for the contribution they make to the healthcare IT field. In fact, working more to demonstrate value was the most common answer to questions trying to identify how women deal with gender-discrimination in the workplace. In a blog published today on Healthcare IT News, NHS Digital executive director of product development Wendy Clark wrote that while 44 percent of the agency’s workforce is female, women are “still under-represented in higher grades and over-represented in less senior roles”. In HIMSS’ survey, although nearly 60 percent of respondents said that diversity at work was being promoted in their organisations, only 40 percent believed that they were “immune to gender-based discrimination”, which included lower chances of promotion, lower salaries and unequal treatment. “Slowly but steadily I see more men being mindful on how to not discriminate and especially in business situations. Various organisations and projects are now trying to raise awareness of the issue, including the Women in Digital Health initiative in Switzerland, according to HIMSS strategic partnerships and communities director Angela Velkova. Sunjoy Mathieu, its founder and co-lead, told Healthcare IT News that, like any other good project, the initiative was simply “born out of frustration”. “My colleagues and I go to a lot of eHealth and digital events, just like the one where I am today, and there was always this situation where there were 200 men in suits and five women, and maybe a female speaker. “It was so frustrating, because digital health is a growing field, there must be women working in the field, we know that, but they were never visible. So we said, let’s start this informal meetup, after work drinks, to see if there is a need for this to be organised, and we found out that there was. “And so we started organising events with interesting speakers and a community as well, and now we are getting more and more partnerships,” Mathieu explained. Furthermore, healthcare informatician and digital health entrepreneur Mia Marenco argued that the need for collaboration, regardless of geographical borders, also needed to be highlighted. Today, HIMSS is launching the 2019 Women in Health IT survey, asking healthcare and IT professionals across Europe to participate to their research in the area of gender equality. “It is staggering in that in digital health we engage with various stakeholder groups and we talk about inclusion so much, but we never talk about our workforce,” Marenco concluded. “That’s why it’s important that the entire industry not only talks about this, but acts, and not just today, for International Women’s Day.